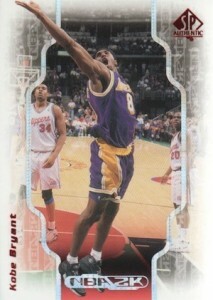 1998-99 SP Authentic Basketball offers a classic base design that has aged well and a strong class of rookie cards. While the simple release does not present a ton of variety, Sign of the Time autographs remain popular and the product was part of the trend in the hobby toward numbered rookie cards in the base set. 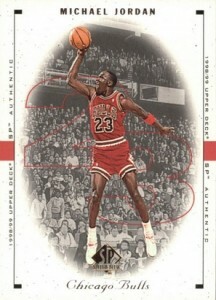 Coming in at a modest 120 cards, the base set in 1998-99 SP Authentic Basketball is led off by ten cards for Michael Jordan in honor of his retirement following the previous season. 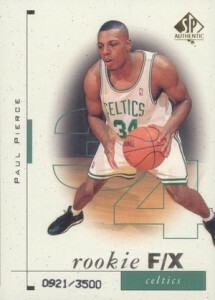 Compiling the full base set is tougher than it seems as the final 30 cards are Rookie F/X cards that are each numbered to 3,500. There are no base parallels. While the 1998 NBA Draft is not as celebrated as other rookie classes, overall the group seems pretty strong. 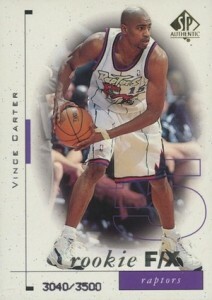 The top names for rookie card collectors are Dirk Nowitzki, Paul Pierce and Vince Carter. 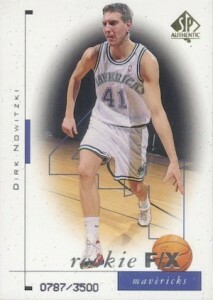 Lesser rookie options include Antwan Jamison, Rashard Lewis and Mike Bibby. 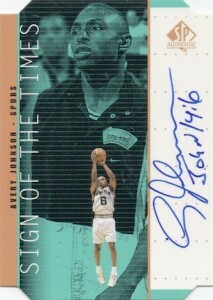 The only autographed cards in 1998-99 SP Authentic are part of the popular Sign of the Times insert line. The die-cut cards are grouped by rarity that can be easily distinguished based on the bronze, silver and gold tiers. 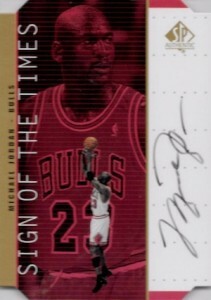 Sign of the Times Gold features the rarest signatures, including Michael Jordan and Allen Iverson. 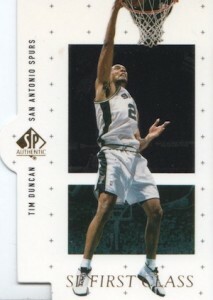 Inserts fill the remainder of 1998-99 SP Authentic Basketball. Dropping around three per box, First Class die-cuts are the most commonly found insert. The focus on MJ continues with MICHAEL. 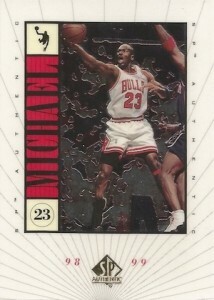 These Ionix inserts are comprised of 15 different Michael Jordan cards that fall one in six boxes, on average. 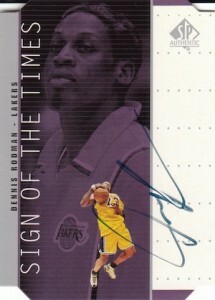 Lastly, Trade cards were a very tough pull but were redeemable for a variety of signed memorabilia. 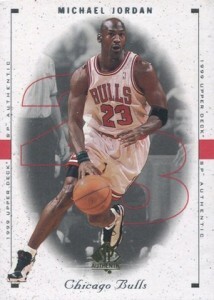 Although the promotion ended in 2000, the possible options were quite impressive, including signed Michael Jordan jerseys and signed basketballs from Larry Bird. Although there is not a surplus available, sealed boxes can be found online for around $100 to $130 and include 24 packs. 120 cards. Shop for sets on eBay. Some cards were issued as redemptions. 1:864 packs. Promotion expired on 6/25/2000.